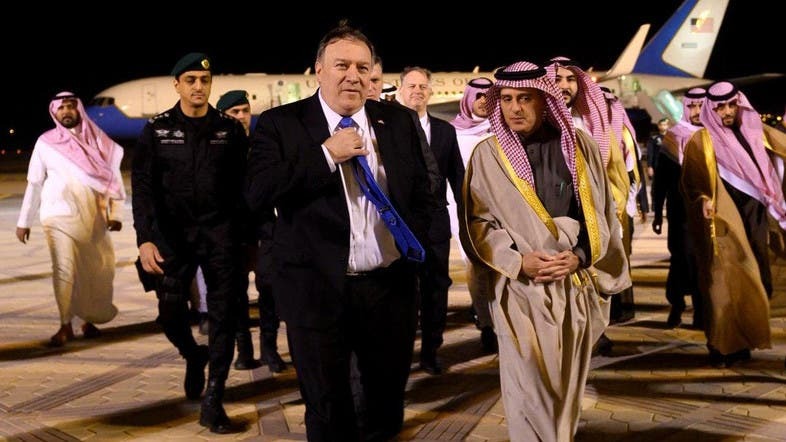 Saudi Ambassador to Washington Prince Khalid bin Salman and Saudi Minister of State for Foreign Affairs Adel al-Jubeir were at the airport to receive Pompeo. 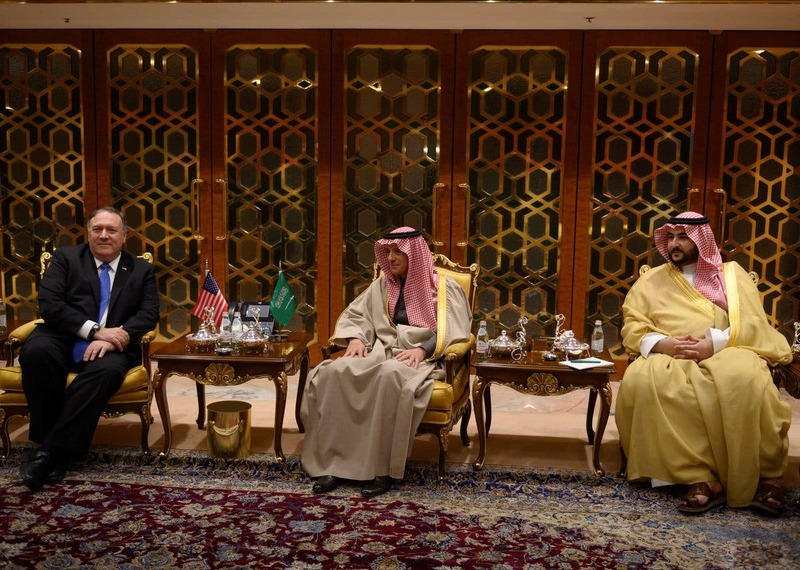 US Secretary of State Mike Pompeo arrived in Riyadh in the latest stop as part of a wider tour of the Middle East where he is expected to meet with Saudi Arabia’s leadership to discuss several regional issues. 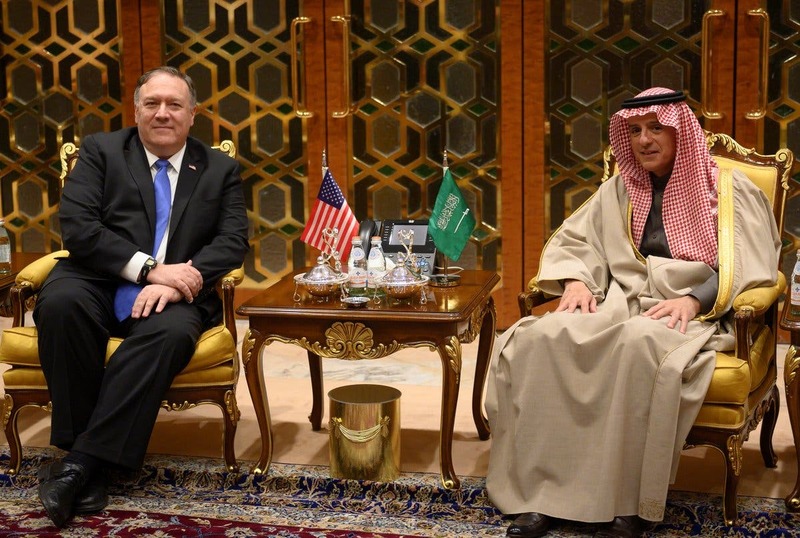 Saudi Arabia’s Ambassador to Washington Prince Khalid bin Salman and Saudi Minister of State for Foreign Affairs Adel al-Jubeir were at the airport to receive Pompeo.